Along with St. John’s Wood (029), Swiss Cottage plays host to the familiar platform stylings we’ve already seen at many imposing 1930’s stations. It seems odd then, that very little surface level presence is, or was, provided. A short turret marks one of the subway entrances, but without this and a number of more modern roundels, it wouldn’t be all that obvious that a station exists here. Information on the surface exploits of Swiss Cottage station is thin on the ground. One would have to assume that the “subway turret” was a later addition, and that the original station, much like Bethnal Green, had no surface structures at all. 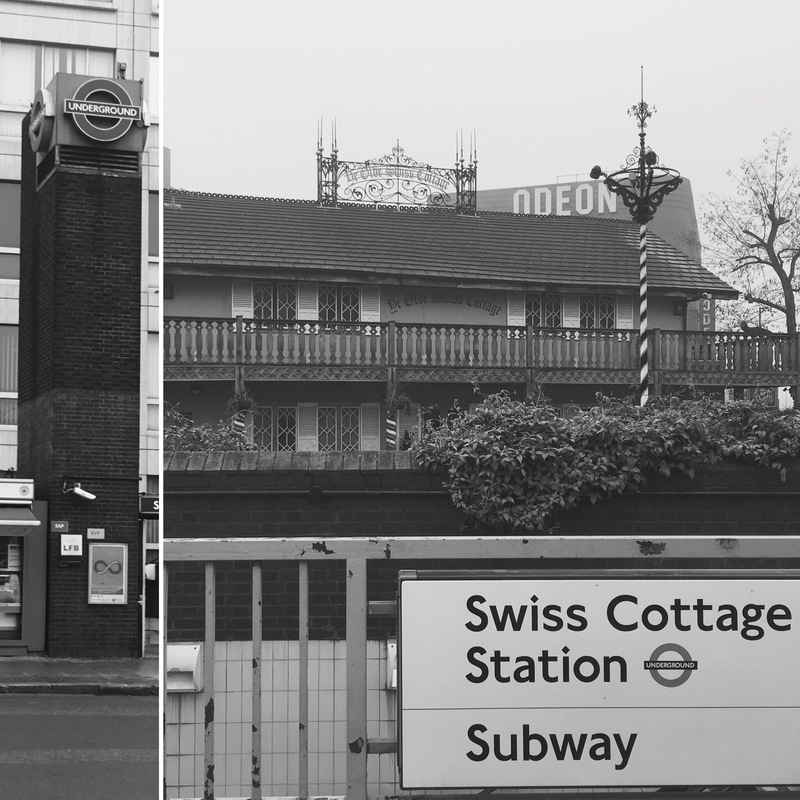 With not much to photograph, let’s instead turn our attention to the station’s name sake – The Swiss Cottage pub. Built as The Swiss Tavern, this building was constructed in 1840 in the then popular Swiss style. When opened it would have originally stood in open countryside, offering a stop to horse drawn coaches heading in and out of London. There are 6 tube stations named after pubs, can you name the other 5?